Posted July 8, 2014 & filed under In the News. 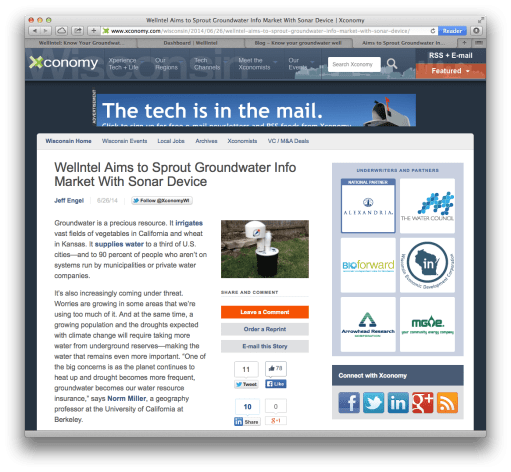 Wellntel was recently featured at the investor and tech website Xconomy. Reporter Jeff Engel did a terrific job interviewing, reporting and writing about Wellntel’s innovations and plans.